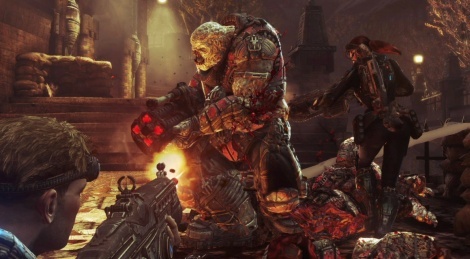 It should come to no one's surprise that Gears of War: Judgment will be getting a season pass. What's more surprising: it seems that Epic Games has become desperate to make sales of their latest Gears game with this pass. For $19.99 (1600 MS Points), you will not only get access to two future map pack add-ons, but also a permanent double XP boost, five exclusive weapon skins, and four exclusive armor skins. Epic is promising upwards of 20% savings when buying this season pass. Call me crazy, but a permanent double XP boost makes it sound like Epic isn't putting nearly as much faith into the latest Gears of War installment as they have in the past. Gears of War: Judgment will release on March 19th, 2013 exclusively for the Xbox 360.